February 28, 2019 February 28, 2019 Andy WilsonLeave a comment on Outdoorama in Detroit / Novi! It’s that time! Our third show of the season, again in Detroit (Novi actually). The Outdoorama is one of Michigan’s oldest sport shows. Outdoorama is more than just a fishing and hunting show. Also combined in the same venue is the Cottage and Lakefront Living Show. There is something for everyone! The show runs today (Thursday) through Sunday, so stop by and visit us at booth 5506! February 16, 2019 February 16, 2019 Andy WilsonLeave a comment on Playing in the Snow! …And Trains, Brookies and Sport Shows! It’s the dead of winter and most of us are sick and tired of it! Sometimes though, you just have to go with the flow and have a little fun. April probably does not seem like winter to most of you, but up here, April is one of the best times to work around the lake while the ice is still good to travel and the temperatures are mild. Up here the ice typically breaks up the first week of May and you can travel on it up to the last week or so before that. It’s that last month, when we get a lot done around the lake. Two years ago, we tried something a little different during our early April trek to the lake. Fat Tire Bikes. They are everywhere now. A few years ago we picked up a pair to keep at Camp Lochalsh. 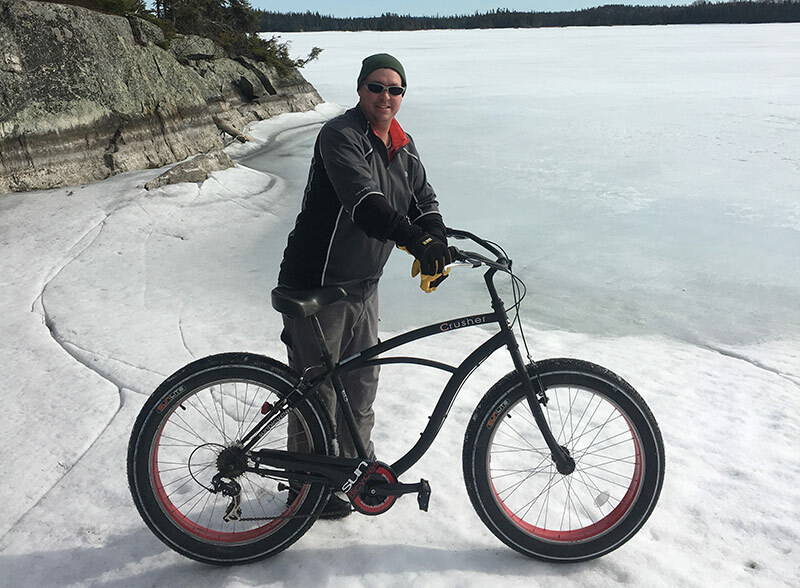 Not many guests chose to use them at the time, but the staff really enjoyed riding them around Camp Lochalsh and the adjacent “two tracks.” While we were up working in April of 2017, it was someone’s harebrained idea to get the bikes out and ride them on the lightly crusted ice of Wabatongushi Lake. What we thought may be quite dangerous turned out to be a hoot! The crust on the ice gave us just enough traction. You could ride anywhere on the lake and it was perfectly flat, just like a paved street. We rode those bikes all the way from Camp Lochalsh to the narrows and back! We even stopped at Loch Island on the way back! That’s 22 miles round trip for those of you not yet familiar with the lake. The narrows is the half way portion and during the winter, part of it does not freeze due to fast current. This April, we have to go in again and do some work to prepare for the season. There will be no doubt that the fat tire bikes will come out again for another boot around the lake! 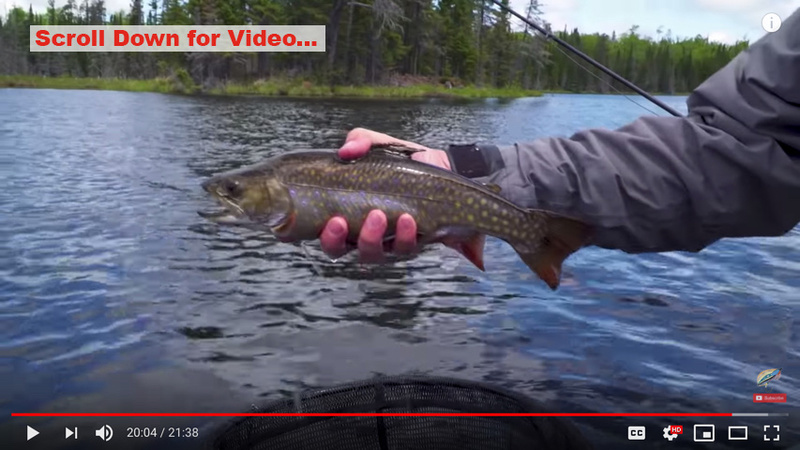 Also wanted to mention that Mark Melnyk just let us know about a newly available article online, talking about his trip catching brook trout last June in some of our outpost lakes, getting to us by train from White River. Not the only way to reach us, but certainly worth the trip for the views and experience. Our Location Page has info on the train and other travel options. Our guide Ryan made the article cover too! If you make it to the shows, come by the booths… we’d love to see you! While running down the lake in late May last year, I noticed a hazy smoke off to the west of Camp Lochalsh. While rounding Bear Point, off to the north I noticed a large yellow airplane banking my way. It was an MNR water bomber! After stopping the boat to make sure I was not in his path, I got some pretty close footage of the crew working their magic scooping water out of the lake to drop on the small fire down the CPR tracks west of Lochalsh. These pilots are the first line of defense for extinguishing remote fires in the bush. Without them and the incredible flying they do, much of the north would succumb to wildfires that would devastate everything in their path. We’ll all be up on the lake fishing again soon enough! And come by the booth at the two sport shows still coming up in a few weeks (Novi, MI starting Feb 28th and Grand Rapids, MI starting Mar 14th)… We’d love to see you! This past summer and fall, we’ve added or improved decks for all cabins on the island, and completed the boardwalks and added railings. More pictures of all 6 cabins are on the Loch Island page. The island’s now full network of boardwalks, with railings in several places, make it more accessible and you can use the ramp down to the docks instead of the stairs. There is also a 2nd set of stairs that goes directly up to the lodge. 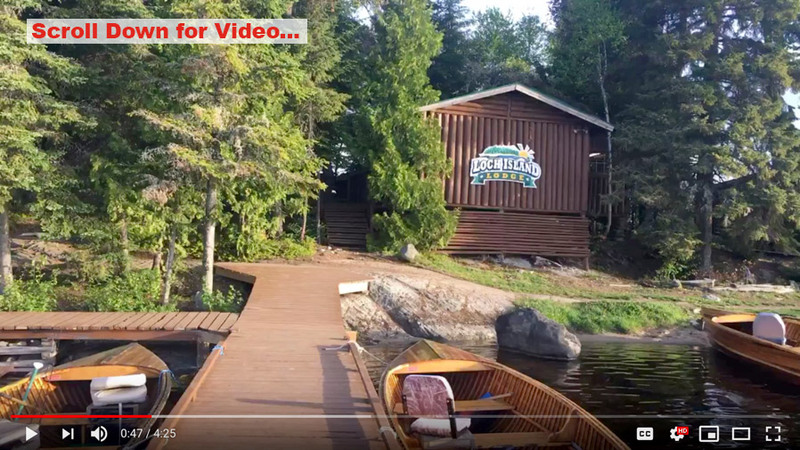 We have other accommodations at Camp Lochalsh and our Outpost Cabins up and down the lake. Something for everyone, and groups of all sizes! And several travel options for you as well. 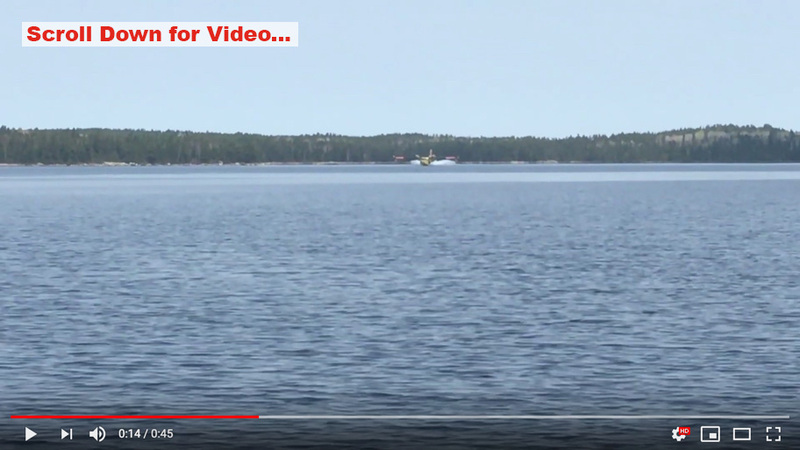 A big thank you to Mark Melnyk for putting this video together during his stay with crew last June, filming The New Fly Fisher TV episode that we highlighted last week. Great to see many of you at the fishing show last week. Today through Saturday we will be at the Northeastern Ohio Sportsman Show. Then our next shows are starting the last day of February (Outdoorama, Detroit / Novi, MI) and in mid-March (Ultimate Sport Show, Grand Rapids, MI). Get more details here. Stop in and see us at the booth! Algoma Country and The New Fly Fisher are still accepting Best Catch photos for their contest open to all fish. You can enter on their contest website here for fish caught in the last two years. They have monthly drawings and a grand prize drawing coming up. Click here for All the 2018 Guest Fish Photos you have sent us so far! Yesterday we wrapped up our first sport show of the season in Novi, MI at the Ultimate Fishing Show. We head to Ohio this week. View Our Full 2019 Sport Show Schedule — Come by and see us if you are able and we can answer any questions you may have. Or Contact Us anytime. Let us know what you think of The New Fly Fisher episode below in the comments….